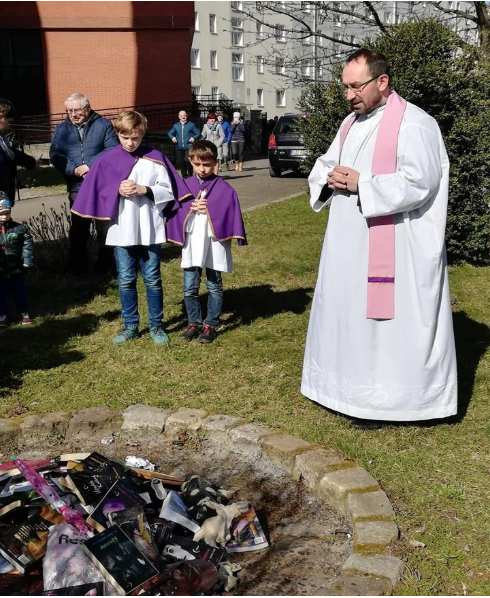 Catholic Priests in the Northern Poland City of Gdansk performed a holy burning of sacrilegious forms of artifacts and readings on Sunday. 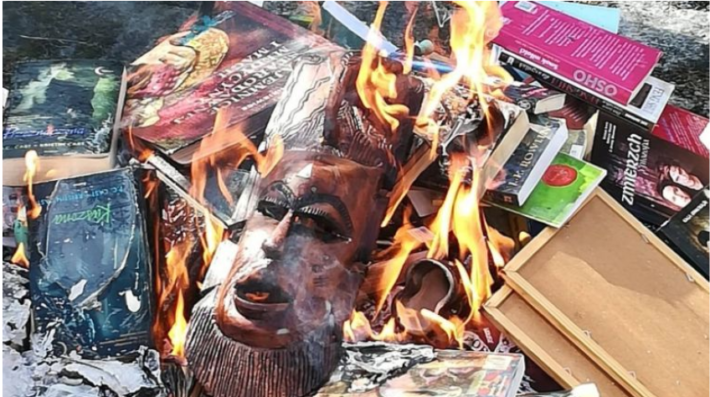 Of the burned possessions included J.K Rowling’s bestselling Harry Potter series; the church objects to the works because they promote sorcery. 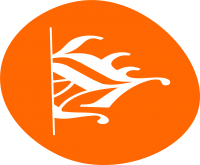 The Polish church group, known as The SMS from Heaven Foundation – posted photos of the burning on Facebook with the caption reading in Polish “We obey the Word”. In addition to the Harry Potter novels, a wooden mask, animal figurines, small statues, and the Twilight Series vampire books were included in the burning. The Polish Catholic church has the full support of their government because of the mainly Catholic society. People took their comments to Facebook on Sunday in response to the burning. Young Polish boys and their priest at the burning. Many comments under the Facebook posts condemned the book burning, recalling that it also happened in Nazi Germany before World War 2. Some said this taught hatred and asked if the next in line for burning were witches, as in the Middle Ages. Many drew comparisons to 1821 when Heinrich Heine made the following prophetic statement in his ‘Almanzor’ drama: “when we start to burn books, we finish by burning people”, he wrote. Author of the Harry Potter series, J.K Rowling has yet to publicly respond to the burnings.